The food/supermarket area of the Ikea I frequent is located right by the exit near the checkout lanes. Chances are they're in the exact same place worldwide with it being a big-box store. I made a trip to an Ikea, didn't find what I was looking for in the rest of the store, and the idea of leaving empty-handed was too abhorrent for me to consider. I left with a few items from the supermarket area just because. They were all new to me, and it seemed cold enough outside that the idea of buying items from the refrigerated section didn't feel too risky -- surprise, the cardboard boxes were moist by the time I got home. 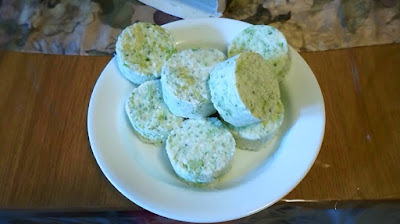 One of the items I picked up was a pack of vegetable medallions. Oh, I'm sorry, I mean I bought some GRÖNSAKSKAKA. The French description was more helpful to me since I understood the words "pommes de terre et brocolis" -- potatoes and broccoli. They looked like something I couldn't really screw up (i.e. food poisoning) and that wouldn't be too interesting or exotic (i.e. foreign in taste and not agree with my palate). The packaging consisted of a cardboard box with a pull-tab on one side. Tearing open the tab revealed eight cylinders of what appeared to be frozen potato cakes. There was no additional wrapping of any kind once I got past the side-flap. They came out barely lukewarm after sitting for so long but I didn't notice any cold spots. There was no browning on either side and none of the vegetable medallions were stuck to the un-oiled stainless steel pan, surprisingly. The first one I tried was bordering on cold but tasted pretty good to me. 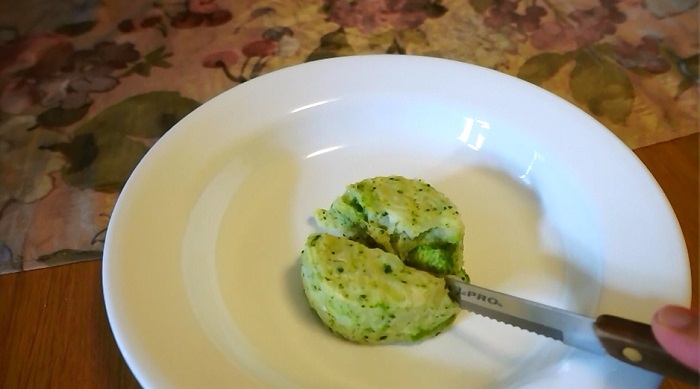 Potatoes and broccoli were clearly visible when digging into the GRÖNSAKSKAKA, and their tastes came through clearly. I could also taste some onion and a fairly strong cheese. 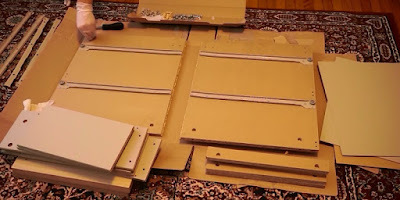 Looking at the Ikea.ca product page, these things supposedly contained potato, broccoli, leek, onions, and cheese. I am not familiar with what a leek tastes like, though I've probably had them numerous times before, so I can't say if that was in there or not. They were a crafting ingredient in World of Warcraft, that's all I know -- a really crappy crafting ingredient that didn't seem to sell for much. Two more vegetable medallions were placed in the microwave and warmed up. Much better. The individual flavors came through better and I could actually see stringy cheese when pulling individual medallions apart. These GRÖNSAKSKAKA cakes came off as a side, appetizer type dish to me. I did like them and found them easy to prepare. However, they probably would have tasted better cooked in a pan to get some more crisp out of them. Maybe with some butter. Not letting them sit in the oven for an hour with the power off probably would have helped too? 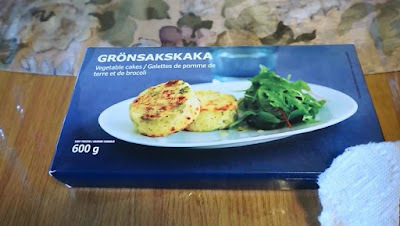 I found the Ikea GRÖNSAKSKAKA vegetable medallions to be pretty good tasting and fairly easy for me to prepare. They were on the more expensive side at CA$ 6.99 for eight considering that I could have gotten a Big Mac with fries and a drink for about that much. There aren't any other issues, aside from price, that would impede me from buying them again.